In the later part of April, I will need to find a new apartment. There's nothing wrong with the current one, but after six and a half years, successive rent increases have simply made it too expensive. It's also bigger than I really need (two bedrooms, one of which I use, sort of, for storage). I should be able to get something smaller but still decent and save some significant money on rent. I'd been preparing for this for some time before my recent hand arthritis flare-up, having taken several carloads of stuff to Goodwill and also a lot to the dumpster, getting ready to fit what I have into a smaller space. The problem is that although I've now been at my temp job for seven months, it's still a temp job. And I suspect a good apartment complex won't be eager to rent to a prospective tenant whose employer is a temp agency. I've raised the issue with the manager at my job (he's a good guy and I can talk frankly with him about such things), and he told me that the earliest the company might be able to think about converting me into a regular employee would be June. And there's no guarantee of what will happen then. It's also possible they might decide they don't need me any more and terminate the assignment entirely. So I face a dilemma. The obvious course would be to look for a permanent job in the next month or so. Aside from the low likelihood of success during such a short time frame (especially at 58), I'm somewhat reluctant to leave the current job since it is, at least, a known quantity and I'd hate to give up the chance of going permanent there in favor of a leap into the unknown. Having a good person as a manager is a major plus, as anybody who has had a bad one can attest. And as best I can remember I've never been hired directly into a permanent job -- every job I've had started as a temp job and later led to a permanent offer. And it usually takes several months for that to happen. Also, it has occurred to me to wonder how true it is that nobody will rent to a temp worker. Temp workers are not usually homeless, after all. And I do at least have a good track record at the current place -- not one late rent payment in six and a half years. I've done some looking on the internet for info on renting an apartment as a temp worker, but there's surprisingly little such info available -- that I could find, anyway -- and most of what I could find was specific to New York City, hardly a typical housing market. So I'm curious. I know a fairly large number of people read this blog. Have any of you actually tried getting an apartment while you were employed through a temp agency? How much of a problem did you find it to be? Well, I believe that as long as you’re employed, that’s what matters? I think they look for a source of income, not the stability of the job? Here in the States you need to show proof of good credit and I believe state who your employer is and that’s all! Good luck! Hope you find something better! (Both the job and the apartment! My step mother was able to rent an apartment in California while working at a temp agency. But that was years ago. My son in law only works part time and was able to rent an apartment with no problems. My daughter just moved into a new apartment and I saw the papers she filled out because I helped her. lol Most of the rental papers only asked how much you make each month, not one of them that she filled out asked how many hours she worked. They did a background check, a credit check and asked for proof of how much she makes each month. So I don't know about the properties you'll be looking at but as long as you make enough to cover the rent, you should be ok. Sorry, no actual experience here, but wouldn't it be worth trying for a new apartment while in a temporary job? (Or perhaps the timing means you can't do that.) The worst they can do is say no. I would think your rent payment history would be a strong point in your favour. Good luck, and I hope you also get offered permanent work soon. Sixpence: I hope that's the case -- after all, even "permanent" jobs these days aren't always so permanent. Lady A: Hey, long time no see! Thanks for the tip. That site seems more geared to employment questions than apartment-rental questions, but I suppose there are temp workers there who have faced this problem. I'll give it a try next Friday. Jenny_o: Actually, the timing means I'll pretty much need to try that -- it's a question of when the lease at the current place expires (moving either earlier or later would mean considerable extra costs). As you say, the worst they can do is say no. If they don't ask if your job is temporary or permanent, then I wouldn't tell them. 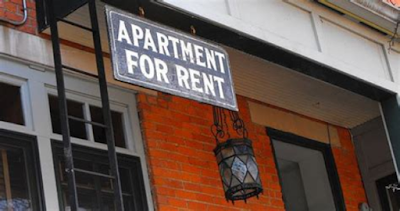 Not that "Don't ask, don't tell" is always a great policy, but your rent history and credit score would be a much more reliable indicator of your desirability as a tenant. Speaking from being a landlord in a former life. I also pictured you as a bit younger, but I've still got nearly a decade on you. Funnily enough, I feel younger than I am, despite all the evidence. I think that's true of everyone as they get older, though. Infidel, fortunately for me I still have decent use of my hands (not too much arthritis, yet), but my knees have been replaced. I still feel younger inside my mind, though. Hello, mortgage loan officer here--not exactly the same situation as a landlord evaluating your income/employment situation, but hopefully this is helpful. If I had an applicant in your situation (and I have), then the standard is to take a two-year-average of your W2 earnings, and also to verify that there's no definite end-date to your current employment (such as a contract worker would have). With clean credit and current rental-payment history, you should be good to go. You know that permanent,full-time employees lose their jobs for no reason, of course. Anon: Thanks, that's encouraging. I don't know how the two-year average would come out -- I have some periods of joblessness during the last two years, which would bring down the average -- but there's certainly no clear end to this temp job. The way things are going, I could easily see it lasting indefinitely.